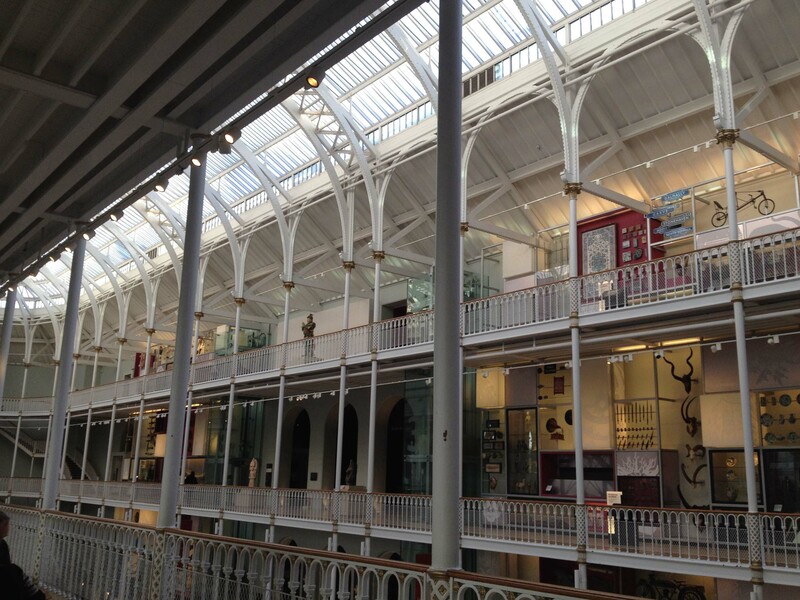 I spent yesterday morning at Edinburgh’s Museum of Scotland – very definitely my very favourite museum! You walk into this huge light-filled space, and are drawn to look upwards. You just have to gasp at the inventiveness and glory of it all. Climb up to the top floor, look down – and – it’s still amazing! On the way up and down you will pass all manner of extraordinary things. The original museum was designed by Francis Fowke ( who also designed parts of London’s Victoria & Albert Museum and the Natural History Museum). It opened in 1866. There was a major redevelopment here between 2006 and 2011. The curators took the opportunity to impress their 21st century take on the building and its collections. This is what gives the fine old building its remarkable character. Looking down into the well space, you will see the light chamber of a lighthouse. 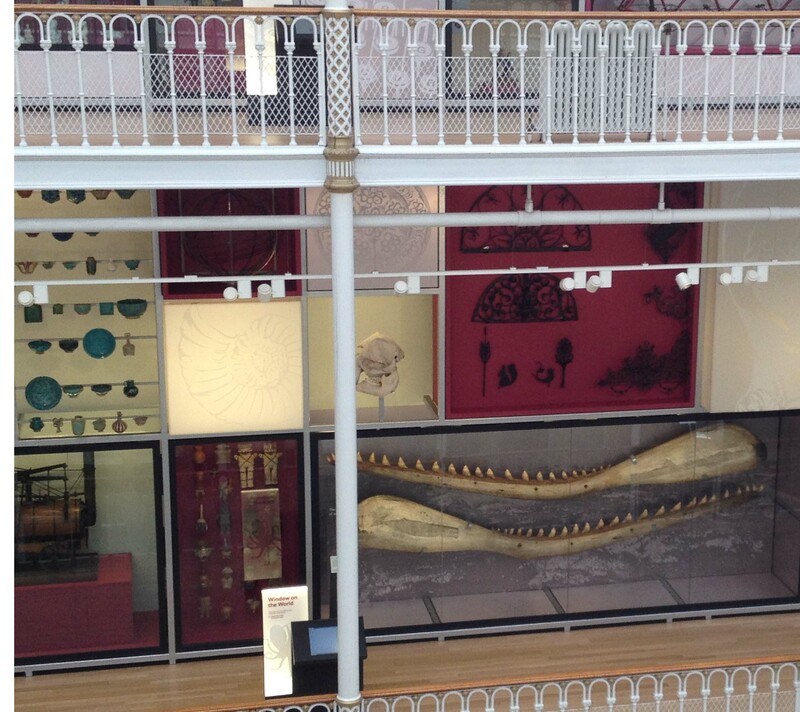 Glance over at the far wall and there’s the jaw of a whale, pottery, metalwork. It’s the serendipity, the juxtaposition of such extraordinarily unrelated objects that works so well here. It reminds me of another favourite museum of mine, the Pitt Rivers Museum in Oxford. 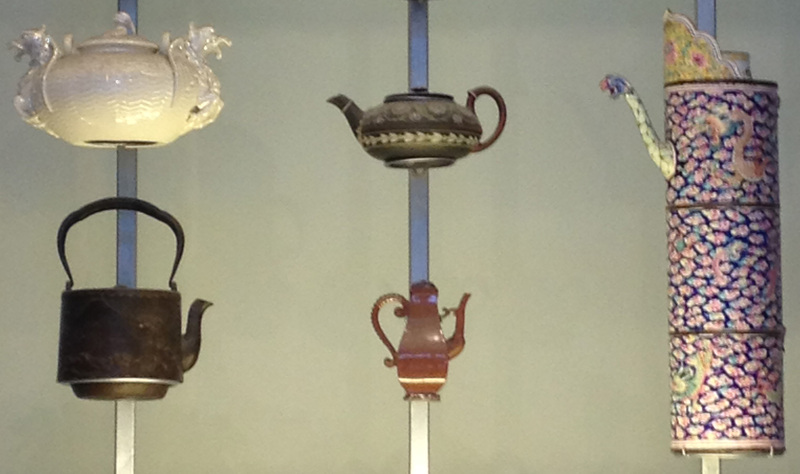 There are extraordinary bicycles, Signs from old railway stations, Curious sea-creatures in glass jars, Fantastic tea-pots – and lots lots more! 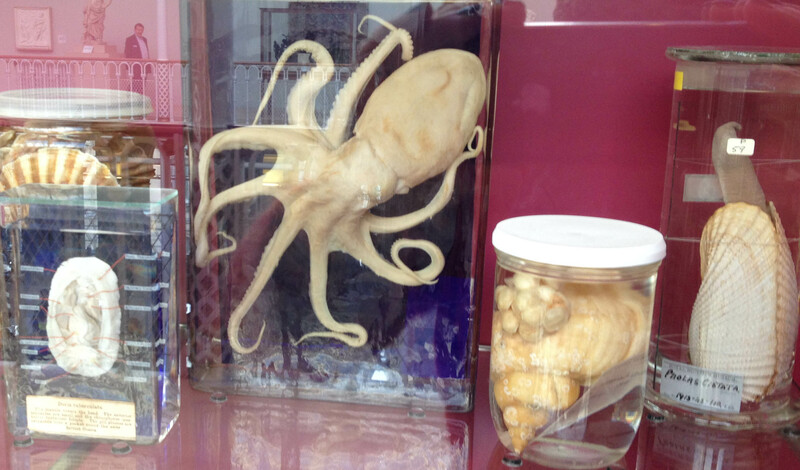 Of course, these are only meant as tasters for what’s in the rest of the collections, in the rooms behind. I saw far too many fascinating things to list them all here, so I will just mention two exhibits that I regularly visit. 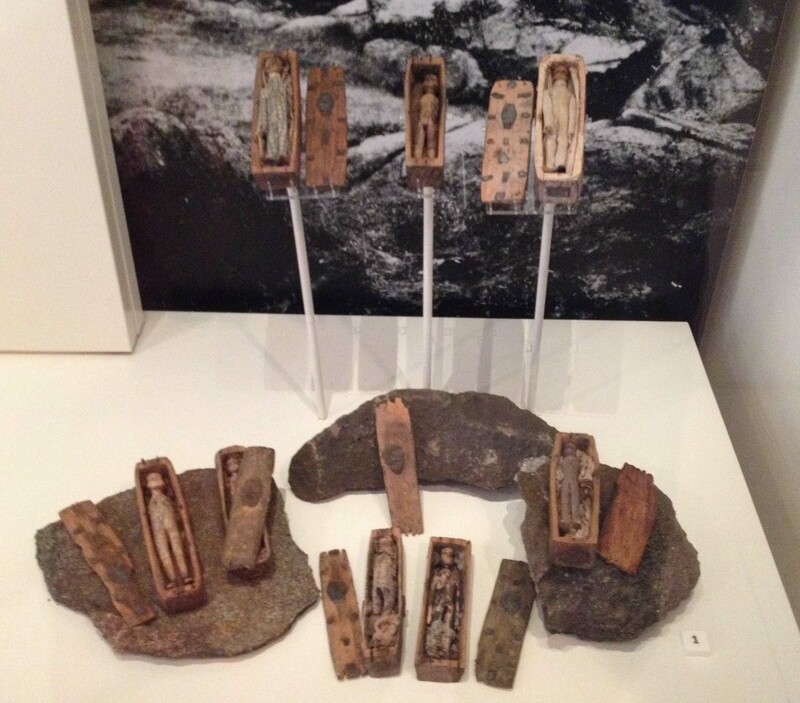 These are some of the 17 miniature pine coffins, each containing a small dressed doll, found on Arthur’s Seat in 1836. 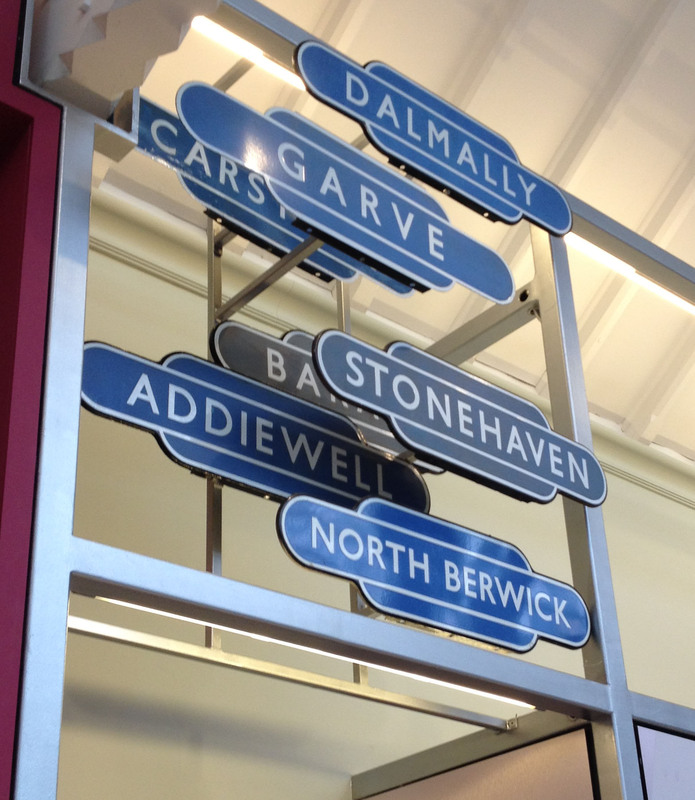 Nobody knows who made them or for what reason – lots of speculation. They have obviously been made with great care. I find them sad, and slightly disturbing – but so intriguing! 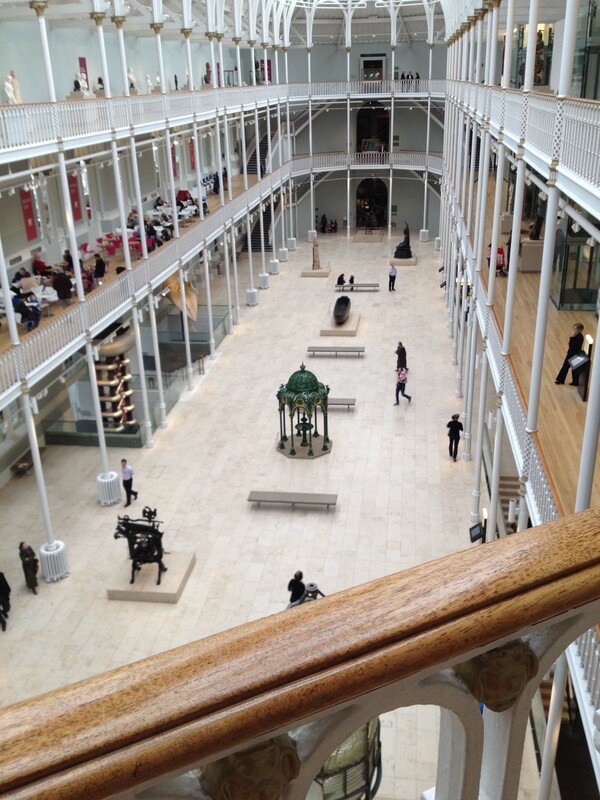 My other choice couldn’t be more different – for a start it’s one of the largest items in the museum whereas the miniature dolls must be some of the tiniest exhibits. This is a rare surviving example of an atmospheric or Newcomen engine. It was used to pump water from the coal mines at Caprington colliery until 1901 – and it still works! 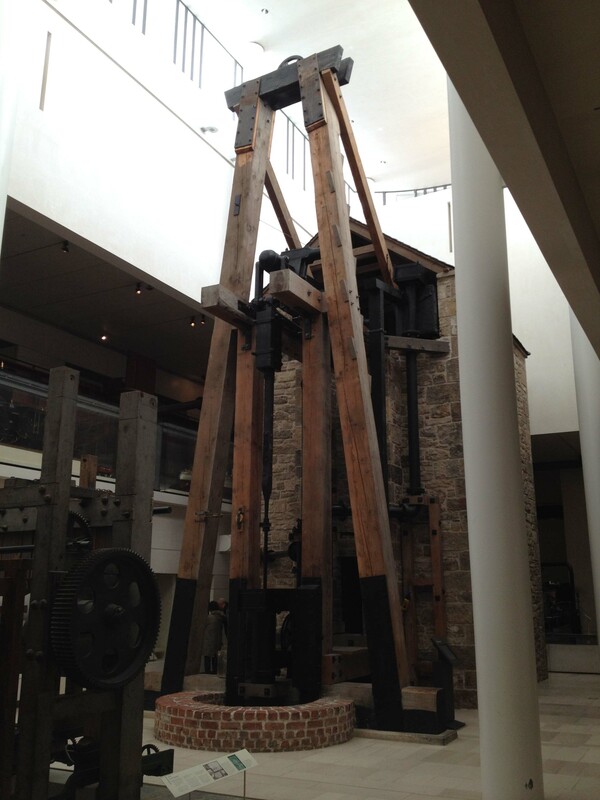 It moves slowly and regularly and reassuringly – just as it must have been for those 19th century miners. It is a magnificent beast, and I am drawn to it by its size and power and efficacy. 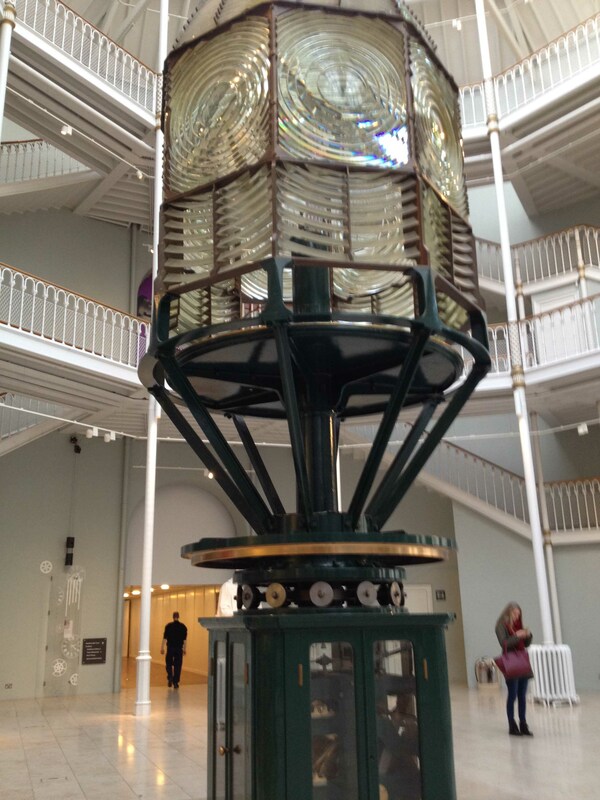 So, thank you very much, Museum of Scotland, for a wonderful morning’s entertainment and exploration. I’ll be back for more before too long! The museum is a great place. I would go for the fish soup alone. When we were in the UK it was the first museum we encountered that had historical dress ups. We tried on an explorer’s outfit and the Roman togas…and we have the pics to prove it.